HIS Majesty the Sultan and Yang Di-Pertuan of Brunei Darussalam and President of China Xi Jinping have agreed to deepen the existing cooperation in defence and security through regular exchanges of visits, personnel training, cooperation in non-traditional security fields and in regional security mechanisms in further promoting regional peace and stability. A Joint Statement was issued after the two leaders met for a bilateral meeting in Beijing yesterday. His Majesty is in China on a State Visit at the invitation of the Chinese President. 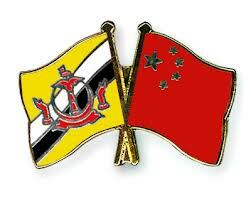 His Majesty extended his appreciation to China for its continued support of the Brunei International Defence Exhibition (BRIDEX) and welcomed China’s participation in the ADMM-Plus Humanitarian Assistance and Disaster Relief and Military Medicine Exercise (ADMM-Plus HADR and MM EX) to be held in Brunei in June 2013. The leaders also supported efforts to enhance bilateral personnel exchanges and deepen cooperation activities in fields such as combating transnational crimes, capacity building and information exchange. The leaders noted the Memorandum of Understanding (MoU) between China’s Ministry of Agriculture and Brunei’s Ministry of Industry and Primary Resources (MIPR) on the Agricultural Cooperation signed in May 2009 and MoU between China’s Ministry of Commerce and MIPR on Economic and Trade Cooperation in the Agriculture Sector singed in April 2012. In this regard, they agreed to further strengthen exchanges and cooperation in agriculture, halal food products, agrifood and aquaculture. Both sides encourage and supported their enterprises to increase the trade of agricultural products on the basis of market rules and equality and mutual benefit. The Chinese side welcomed Brunei’s continued participation in various expositions and trade fairs held by China, including the annual China-Asian Expo in Nanning. The leaders encouraged enterprises of both countries to cooperate in developing ventures in the Halal food industry and fisheries industry and the international market. Earlier, the bilateral meeting commenced with the Chinese leader commending the significant contribution made by His Majesty on the development of China-Brunei relations and noted the important initiatives that were undertaken by China and Brunei to celebrate the 20th anniversary of the official establishment of China-Brunei diplomatic relations in 2011. Both sides underlined the importance of further strengthening the long-standing friendship, reflecting the close historical and cultural ties between the two countries. The leaders reiterated their political will to deepen bilateral relations through cooperation in various fields on the basis of the principles and spirit enshrined in the MoU between the two countries issued in 1991, the Joint Communique issued in 1999 and 2004 respectively, as well as the Joint Press Statement issued in 2005. The leaders reiterated their mutual respect for sovereignty, territorial integrity and non-interference in each other’s internal affairs. Brunei reiterated that it will continue to adhere to the “One China” policy, and support the peaceful development of cross-Straits relations and the peaceful reunification of China. China appreciated the above-mentioned position.